Sailor Moon Anime Seiyuu and Staff Update Spring 2010 – Part 1! Hey Moonies! We’re catching up on several sightings and this is the first of a multi-part update! Kotono Mitsuishi and Akira Kamiya Judging Next Generation of ANISON singers! ANIMAX’s ANISON Grand Prix singing contest is starting up again, and NHK in Osaka are starting their pre-preliminary rounds as we speak. On May 5th, at NHK’s BK85 Spring Wonderland festival, a 5-judge jury will hear successful applicants sing and choose their top 15 to move onto the Osaka Preliminaries later this summer. Included on this jury are Kotono Mitsuishi (Sailor Moon) and Akira Kamiya (Professor Tomoe). Mitsuko Horie (Sailor Galaxia) will also be performing during a special concert in the second part of this competition, and HIMEKA herself will also be performing as well. Mitsuko and Akira will also be judging a second Anison contest on June 6th – the Anime Song Rush at Tokyo’s Yomiuri Land Open Theater East. Good luck to everyone entering these competition in Osaka and Tokyo! Kotono Mitsuishi Performing Drama CD Live! The popular Japanese manga Brocken Blood is getting a drama CD adaptation! But instead of only releasing the drama CD on May 12th, the cast members are also going to perform it live sometime in August. Fans will have to enter a lottery once again to get a ticket, but it sounds like it will be worth it, especially when Kotono is playing Yomodo Shihoden, a magical girl who is one of the heroines in this series. Kakyuu in New Eden of the East Movie! Sakiko Takmagawa (Princess Kakyuu and Elsa Gray) reprises her role as the multi-faceted AI Juiz in the latest Eden of the East Movie, Eden of the East 2: Paradise Lost. The premise of the series is very similar to the movie The Matrix, and fans can read an almost full synopsis of the movie here. In the second movie, her character is spread out among four, so it will be interesting to see if she changes how her voice sounds. There is also a second Seiyuu in this movie, Nobuyuki Hiyama. He had two minor roles in Sailor Moon as Yosaku Eda and Tsunawataro, but has a much bigger role in this movie as the hacker Yutaku “Pants” Itazu. This will be released by FUNImation in 2011. We’ll cap off this part with a few convention appearances this summer! ☽ Keiko Han (Luna), Chika Sakamoto (Yaten Kou/Sailor Star Healer), Kappei Yamaguchi (Artemis in PGSM) and Yasuo Yamaguchi (Producer) will be appearing at this year’s Animazement from May 28th-30th. 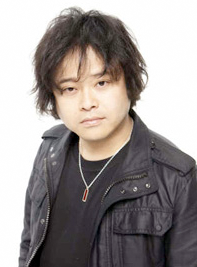 ☽ Nobuyuki Hiyama (Yosaku Eda and Tsunawataro) will be appearing at this year’s Anime North on the same weekend! New Thoughts from Kotono Mitsuishi and HIMEKA! Kotono Mitsuishi played our hero Sailor Moon. But, there was a time when she had to put that away for five episodes. In January of 1993, she was experiencing severe pains in her abdomen, and it was time for her to finally go in to get it treated. Turns out Kotono was suffering from an ovarian cyst (and not appendicitis as has been reported in the past) and needed to go in to the emergency room. Kae Araki played her role for the first five episodes while she recovered. Kotono was sad to step down from such an amazing role, and she cried to everyone around her because she had a little Usagi in her. Kotono said that she was a blundering crybaby, like most middle school girls are everywhere. But Usagi can transform into a Sailor Suit and fight evil. She screams “In the name of the Moon, I will punish you.” Even if a colleague were to point out that she did something wrong, Usagi was always strong enough to make it better. She is a good and honest child. Kotono landed her first anime leading role when she was just 24. Sailor Moon featured both a magical girl and a girl who could fight evil, and was one of the first anime to really put the two together. This was a big hit for Toei Animation and it ran for 5 years. Girls would always cheer for Sailor Moon when she had to fight, and the show was a symbol of girl’s independence back in its heyday. Kotono returned after those 5 episodes were recorded to her beloved role, and when she recorded the first sound drama cassettes, she remembered the fighting spirit Sailor Moon had in the last episodes of the first season. It was that spirit, that carried her voice throughout. She actually cried when she recorded those episodes, because she felt for not only her character but the others. She remembers so many tears and having a runny nose while trying to play Usagi during those times. Producer Junichi Sato commented that Kotono’s voice was very versatile and could flip expressions very quickly. She impressed the animators and the crew! Kotono learned the importance of hard work when she got the role of Sailor Moon, and even though it was difficult, her hard work paid off. Sailor Moon is one of her most cherished roles! The 29-year-old singer from Canada (real name: Catherine St-Onge) sang the Sailor Moon theme song at the DVD launch and reunion event last year. At the end of the event, she sang the theme song again, full of tears and clinging on to Kotono. Himeka says that was the day her life had changed. Himeka was 15 years old when she saw her first episode of Sailor Moon. Unlike the Disney Princesses, Sailor Moon was not just a pretty face that had to be protected. She saw similarities in her own life to that of Sailor Moon’s. Himeka says that she was a hardworking crybaby that had the power to change her life. She instantly became fascinated with Japanese culture and began to learn more about anime and manga as well. She wanted to learn so much more about these different kinds of superheroes, and also started to study Japanese on her own. She knew she wanted to be an anime singer, and worked in factories and fast-food service joints throughout her 20s. She would sing songs from many anime in her room at night, never losing sight of her dream. 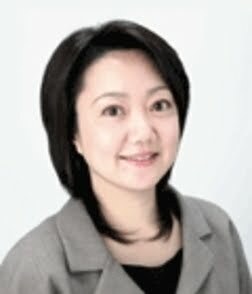 In the spring of 2008, she moved to Japan and started to get involved in the Anison competitions. In the Fall of 2008, she became the first non-Japanese person to win ANIMAX’s Anison Grand Prix, and in the spring of 2009 released her first single. Just like she was inspired by Sailor Moon, she hopes to inspire girls all over the world. She is happy to be where she is right now, and she hopes to one day share her strength to inspire someone else, like she had been inspired before. The article ends saying that Japanese Animation is the most popular and sought after animation in the world. With fierce competition from both large and small anime companies, Toei Animation has embodied the bulk of the history of anime, inspiring other people to follow their own dreams and imaginations to bring them to life. This was a nice article to read about how two very different people found strength and courage in dark times from Sailor Moon.